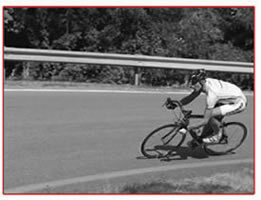 This is the philosophy that Maurizio Fondriest looks for and finally finds in every one of his bikes. 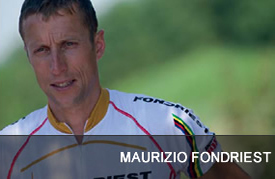 Maurizio Fondriest was born in Cles (Trento) in the heart of the Val di Non on 15 January 1965. During his 12 seasons as a professional cyclist, he added a good 69 victories to his list of successes on the road. 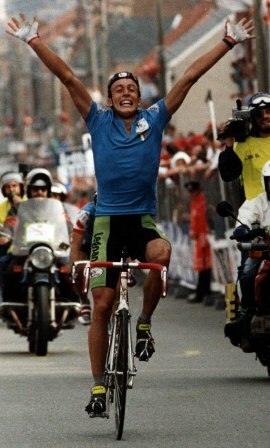 The winner of the World Championships at the young age of 23, he won the world cycling cup in ’91 and ’93, the mythical Milano-San Remo in 1993, and collected countless successes during his career both in traditional championships as well as stages in the Giro d’Italia and the Tour de France. Although a back injury forced him into early retirement in 1999, Maurizio is still active today. Living in Cles, with his wife Ornella and their two daughters, Maurizio still rides 5,000 miles a year. In the winter, he takes to to the slopes the old fashioned way - Maurizio is an avid sci alpinismo skier. Today, as in the past, he continues to be a great fan of this sport. 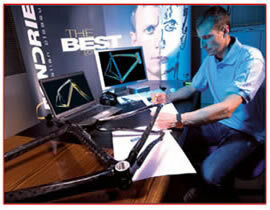 Careful and meticulous about the technical aspect of bicycles, his focus on the seated position -in search of the “perfect” geometry - is a legend. After dedicating a professional career to sport, he put his family first, but the life of a great champion needs to carry on into the future and this is why Maurizio now transfers all his advice and experience to numerous up-and coming young cyclists through his extraordinary example. Ever since he started putting his name on the first frames, he realized that every single detail of the bicycle would have to reflect his personality and professionalism. Over the past years, he has registered several patents because he has always believed in R&D, and every new idea that comes to life is a new challenge.